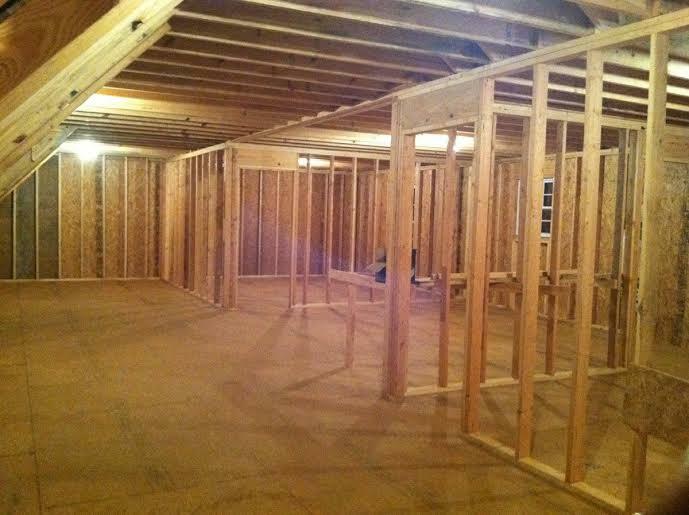 Premier Homes and Contracting Group, LLC can satisfy your new construction needs. Owner Adam Ewing and his father Wayne Ewing together have over 50 years of framing experience. 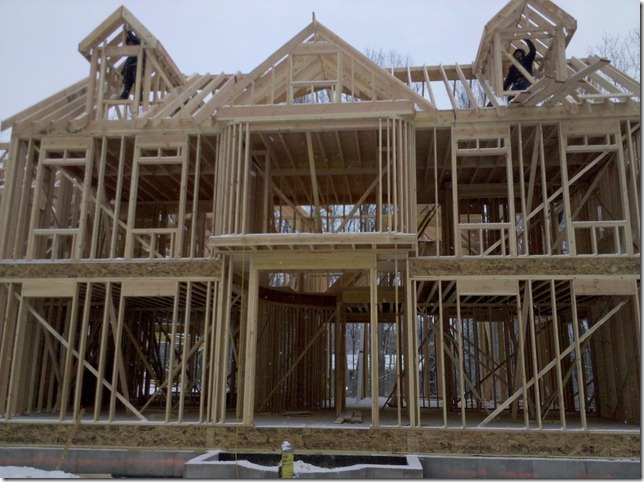 When it comes to new-construction, Premier's experts are unmatched in quality, price, and professionalism. We carefully build any structure in a timely manner, whilst keeping your vision and quality expectations in mind. To uphold code and pristine quality workmaship, all of our new-construction experts are supervised by a 25 year project manager. Whether you're looking to add a recreation room, or building a new home or garage - Premier HCG can complete your project. With our ever-expanding list of contacts, Premier has the resources to provide top quality materials at a fraction of retail cost - saving the customer hassle and money. Start planning or building your dream home today. A team of our experts are available 7 days a week to get your dream home under construction. A list of references is available upon request. There’s a lot to know about the building process, and we keep you informed and involved throughout your home’s construction. We take pride in sharing our knowledge and experience with you. 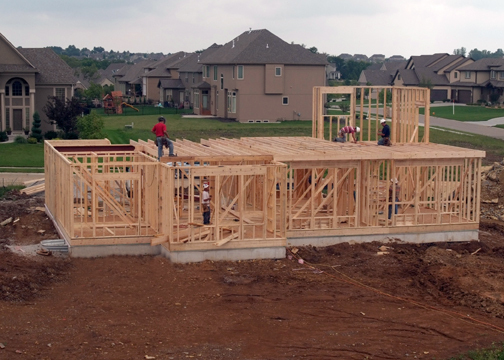 Read on to find out how your Premier home will be built. As you begin to understand the process, you'll know what you can look forward to during the exciting weeks ahead. Construction usually begins 30-45 days after you sign the new construction contract. It is, however, subject to potential holdups such as local government approvals, utility availability, construction backlogs, delay in the developer’s delivery of lots, availability of materials and contractors, changes requested by the homebuyer and the degree of difficulty encountered in initiating those changes plus the time for independent inspections. The most frequent cause of delay is usually weather, specifically rain or other poor conditions. Your Premier Homes sales professional will be able to tell you when construction should begin on your home, as well as the average number of days for normal construction in your community. It all starts here! During this phase: Permits and approvals are secured from the local building authority. Premier determines where your home will sit on the homesite. Your home’s position and orientation (“right” or “left”) is determined by such factors as terrain, drainage, utility easements, and municipal requirements for setback and side yards. Due to technical requirements, Premier Homes assumes sole discretion for home placement. Your homesite is surveyed and marked to show final positioning. Existing trees may be removed from the homesite as necessary, based on state and local laws and sound building practices. Premier Homes does not accept responsibility for the life of existing trees. For more information on trees, please see our FAQ. All of our foundations are designed and inspected by a licensed professional engineer. Plumbing and electrical undergrounds are installed. The vapor barrier is put in place. Reinforcing cables are installed in the forms. Concrete is placed to complete the foundation. The framing for each floorplan is individually engineered to meet structural and wind requirements. Frames are inspected per local requirements. Exterior foam sheathing is applied. Windows and exterior rear doors are installed. For some homes, brick is installed during this stage. Premier Homes installs Cemplank siding for all horizontal siding and James Hardie trim and soffit. Cemplank is an extremely hard, cementicious material that is impervious to rot, warping, and termites. The Cemplank siding we use carries a 25-year manufacturer's warranty. It can be difficult to see the progress that’s being made during this stage, but important work is going on inside the walls of your home. Wiring and cables are installed, including electric, alarm wiring, RG6 cable, telephone, and plumbing lines. Polycel insulation is added to all exterior corners, plates on the first floor, doors and windows, and penetration of wall plates common to the attic. It is then taped and floated to cover fastner holes and seams. Texture is applied to the walls. The trim stage focuses on the fine carpentry details that finish a home. Bath and kitchen cabinets are built and/or installed. Painting brings color and personality to your home. Premier Homes uses an upgraded premium paint designed for high humidity and mildew conditions. Interior painting, caulking, and staining begins. High-grade enamel is applied to all designated trim material. Exterior painting is done, dependent on weather conditions. Once the painting is finished, the mechanical details can be added. Finally, many of the final details can be added to your home. Ceramic tile and wood floors are installed (if applicable). Sidewalks, driveways, patios, and fencing are installed (if applicable). Your home is again inspected by the local building inspectors (if applicable). Your Premier Home is now ready for the homeowner demonstration, closing, and move-in. For more information on new construction, please visit the New Construction Information page.